There are many causes for back pain including muscle strain, arthritis of various spine segments, vertebrral disc disease( tears, buldges,herniations), congenital problems, tumors, and other causes. 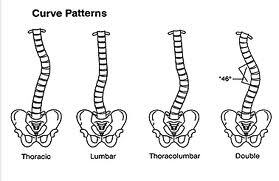 The spine is composed of the cervical(neck), thoracic(mid-back), lumbar(lower back), and sacrum. Treatments of these areas may include anti-inflammatory medicines, steroids, muscle relaxers, nerve medicines, physical therapy for stretching and other modalities, pain management for injections, and lastly surgery. 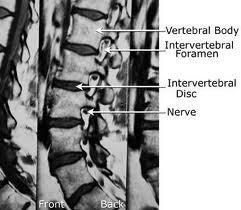 The above slide shows the overall structure of the spine including nerves. These are the typical types of back curves seen in scoliosis and various things can cause this or it may just be iatrogenic and not have a cause. Flexibility of the spine will keep you healthier and have less overall pain. 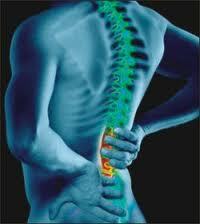 Exercises of the spine muscles, core muscles, and hamstrings will help many people who present with pain.